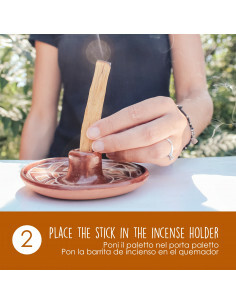 Palo Santo® incense sticks, craftsmanship production of the highest quality. 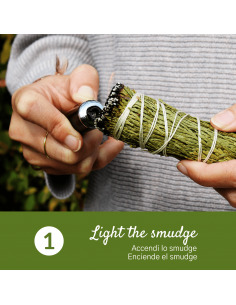 They purify and perfume the space, keep away insects, create a ritual atmosphere suitable for meditation. Basic ingredients: Bursera graveolens (Palo Santo) Wood powder, Bursera graveolens (Palo Santo) Resin, Tragacanth Gum, Distilled water. There are several varieties of Bursera graveolens tree with different characteristics depending on the area where they grow. Palo Santo proposed by Herborea srl ​​has guaranteed and controlled quality. The most valuable variety is that from certain trees of southern Ecuador and northern Peru, which contains a percentage of limonene between 62-68%, from which the high-quality products marketed under the brand Palo Santo Seleccion are obtained.